To enter university, the student needs a good and efficient access course preparation. This is the proposal of Curso Positivo, one of the most adopted courses in the major institutions of Higher Education in Brazil. Curso Positivo has a team of teachers with more than 40 years of experience, high quality didactical materials for better preparation and an innovative dynamic class system totally focused on the entrance exam approval. The student also receives guidance on professional choice and support for inscription on the various entrance exams of the country. It also participates in extra-curricular activities of integration and entertainment. At the end of the day, a good preparation for the exam should balance study and social agenda. "The work done by Curso Positivo has been crowned with the exceptional result of the exam: a large number of first places and the highest number of approvals in the most sought after careers. 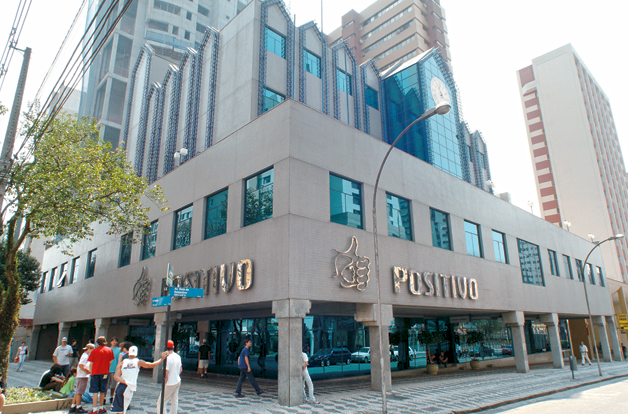 Positivo never approved so many students as in the past exam.” Prof. Renato Ribas Vaz, founding director of Curso Positivo.